I have used a heating bed for over ten years as the best way to increase the recovery of collected yamadori... giving me a success rate of over 95%. 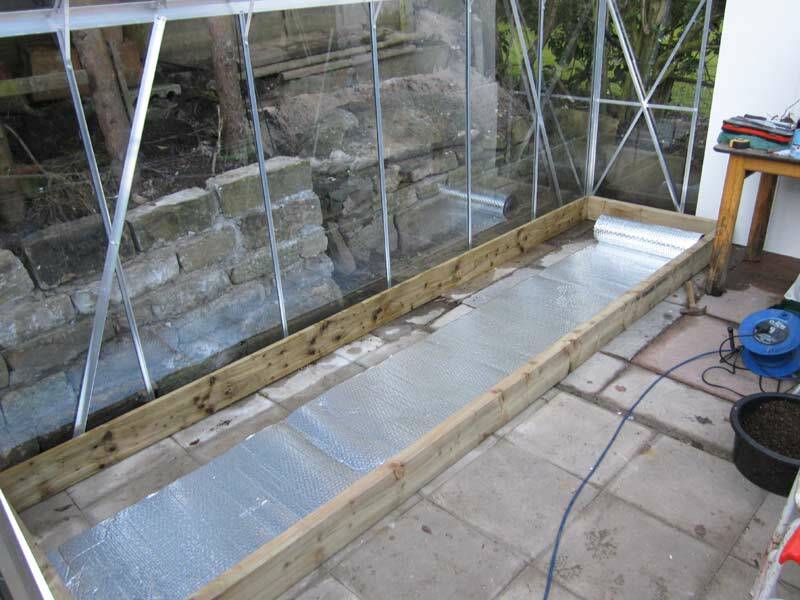 The building of my new Greenhouse meant that I could have a new much larger heating bed. This is how I made it. 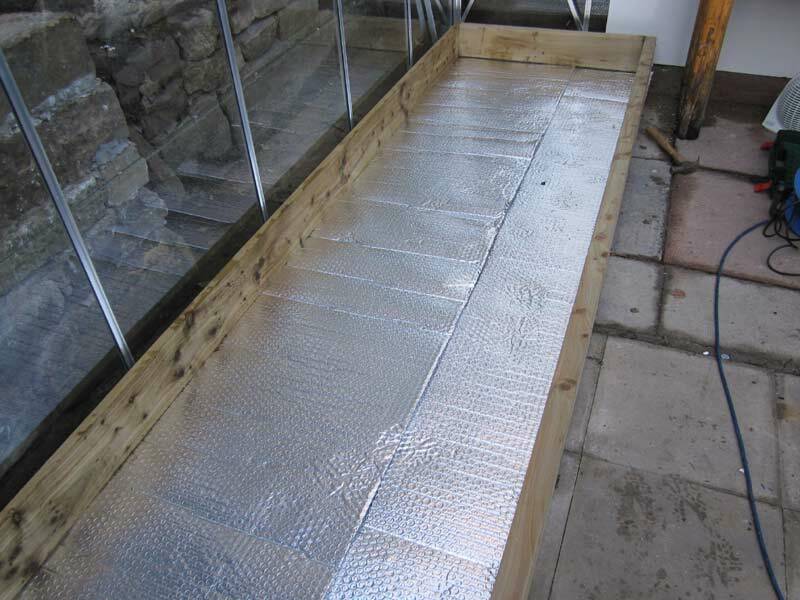 A layer of silver backed ‘bubble’ insulation is laid directly on the floor. 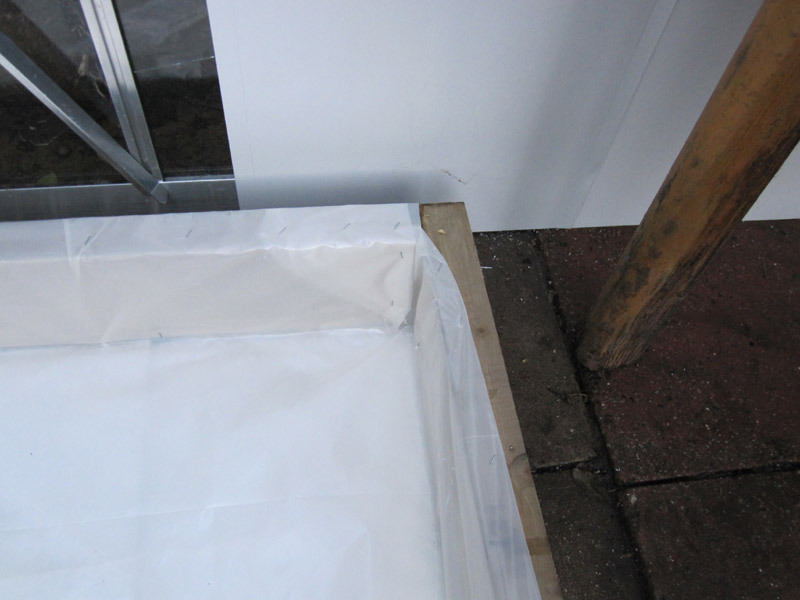 I could have used 1” Polystyrene block, but this proved OK.
To ensure that the moisture is retained the whole frame is lined with a Heavy Duty Polythene Sheet, and ‘stapled’ into position, particular attention is given to the corners. 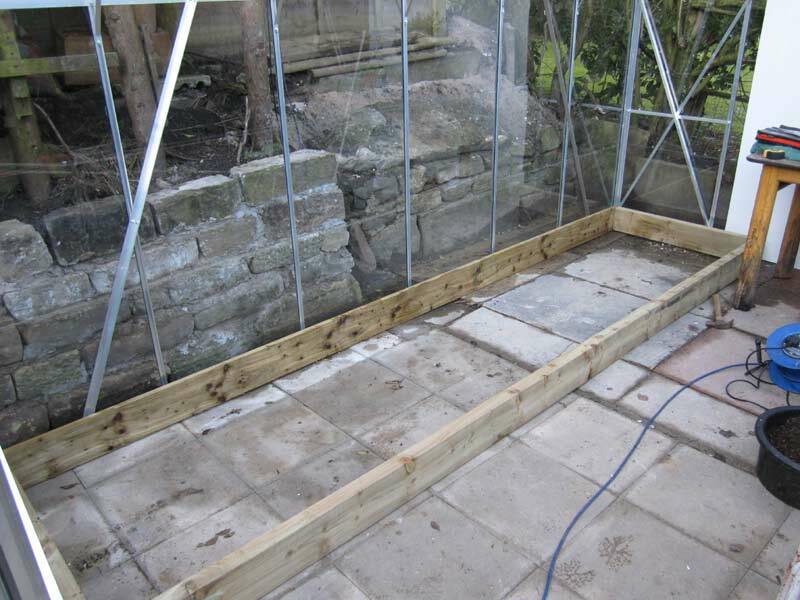 Holes are cut into the edges to afford drainage as the bed would fill with water and this is not desirable. 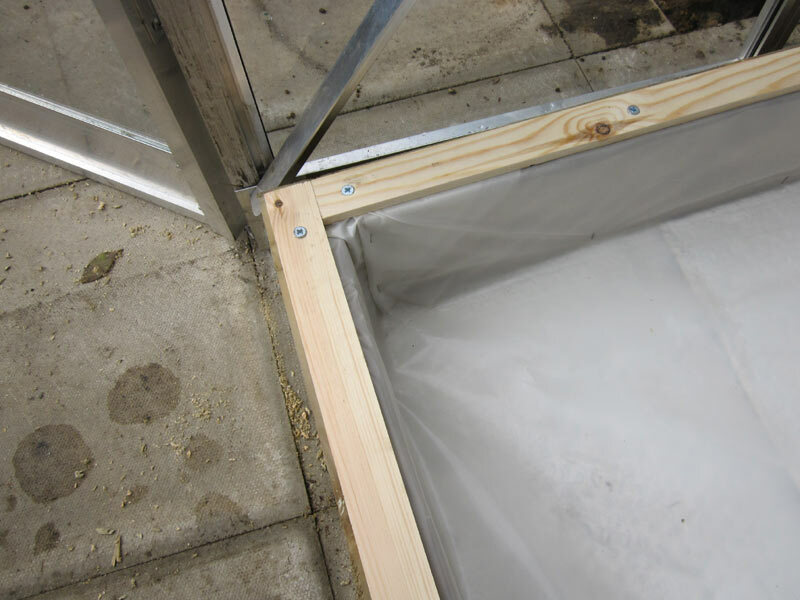 Batons are screwed into the top of the frame to secure the Polythene Sheet, galvanised screws are used. 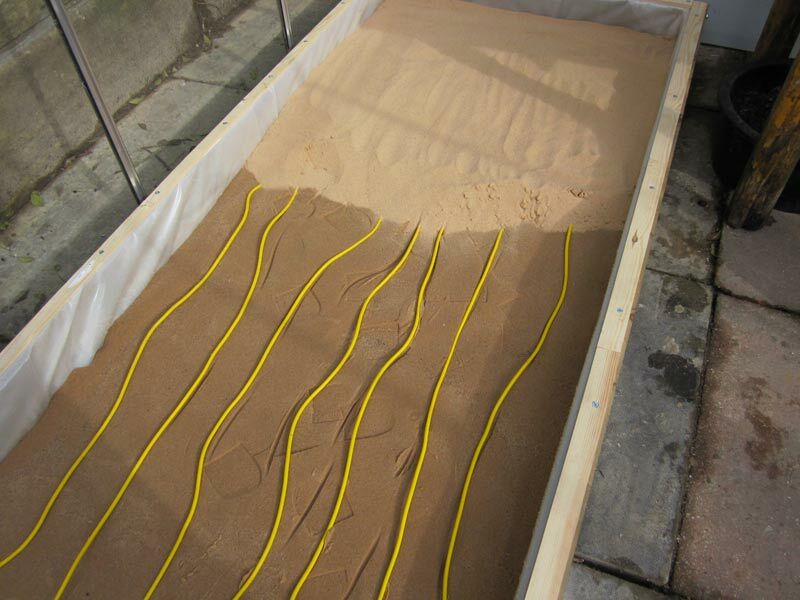 The heating cable (80ft long) is placed as shown and covered with a further 2” of Sand. The heating cable is unwound and plugged in. This is to 'soften' the cable as it is very stiff when cold. 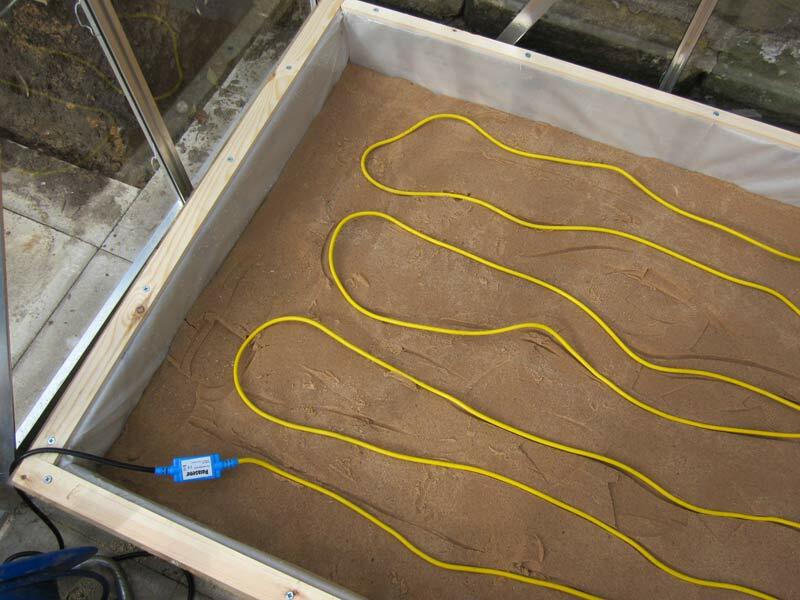 The completed Heating Bed, the cable is secured to the frame with a cable clip and the whole bed is saturated with water. That is first class Tony. I would love to have the space to do that. It is a great solution. 'Like all plants to keep your feet warm and moist. This is a very modern warm beams! Excellent work Tony. Yours is twice the size of mine! 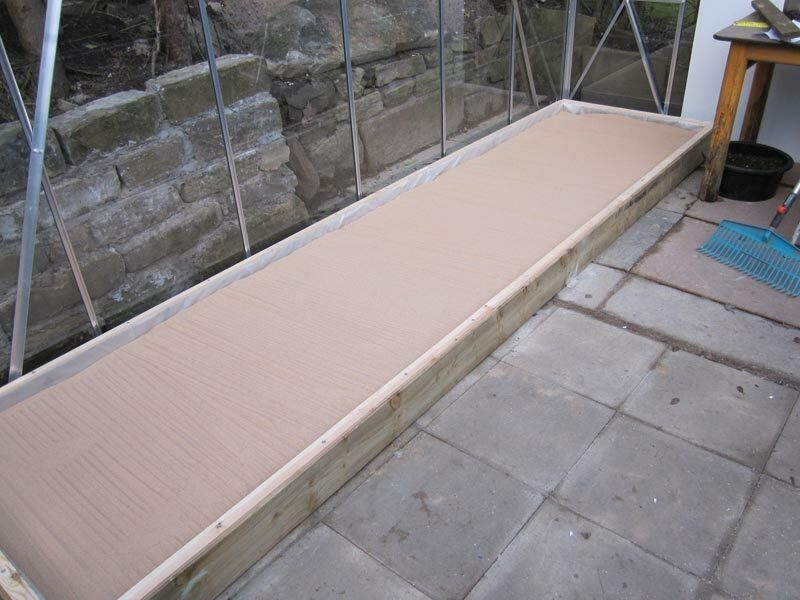 I used builders polystyrene sheet to line mine, then a thick polythene liner to keep the sand and moisture in. 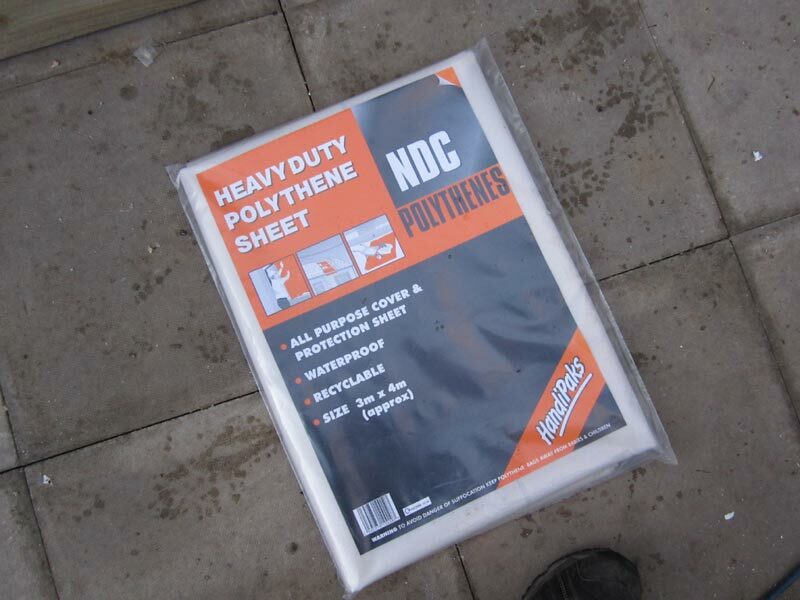 Be cautious about anything puncturing the liner, as a colleague at our club caused his to overheat when he didn't notice that sand had been washed out and left the cable able to move and touch. Don't forget that as well as getting better rooting from yamadori, this doubles up as a giant seed propagator, cutting striker and out of season vergetable grower. 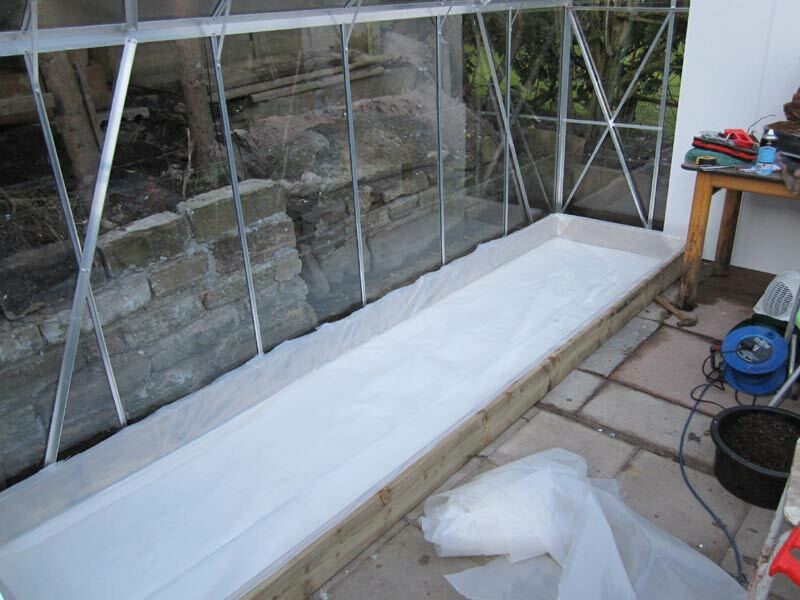 Keep all of the surface covered and you minimise heat loss and maximise production. I start all my tomatoes, chillis, aubergines, beans etc on mine after any yamadori have gone out in late spring. Very interesting Tony. I don't do enough collecting to justify this for yamadori but something like this might be needed for me to survive the chilling down of our area. My collection can't survive another cold winter like I had this year without some energy added protection. Buttonwoods would love this. 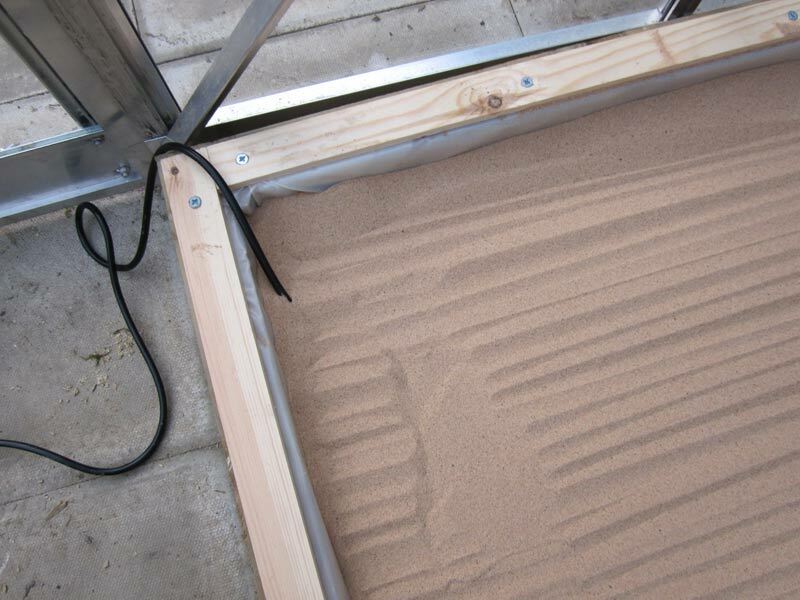 Did you add a thermometer to the sand and to the air to monitor temperature? Do you know how many KWhrs this will use per month? 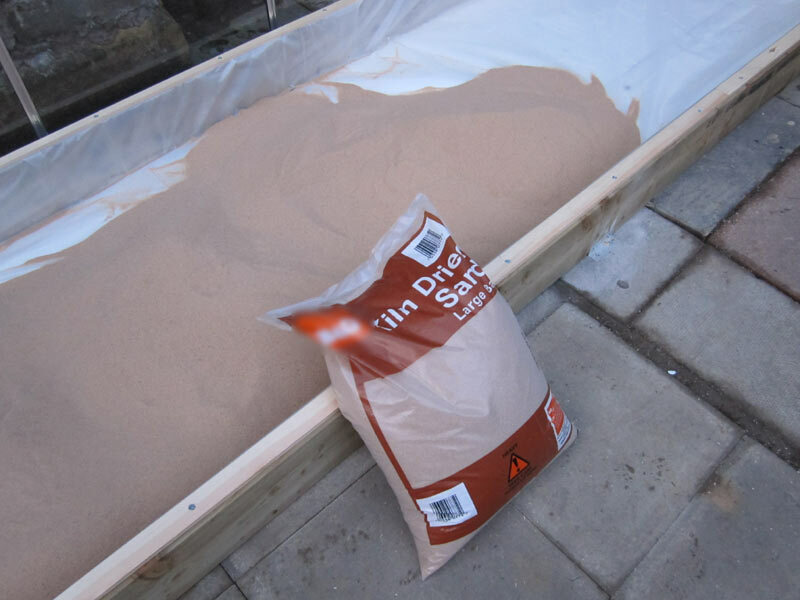 Looks great I'm not sure if you can get it there but you might look at mason sand as apposed to kiln dried should be cheaper and should work. Hi Rob, the power used is equivalent to a 150KW light bulb, I have it on permanently. I have never used a thermostat relying on regularly checking the bed, at least three times a day. Kev. 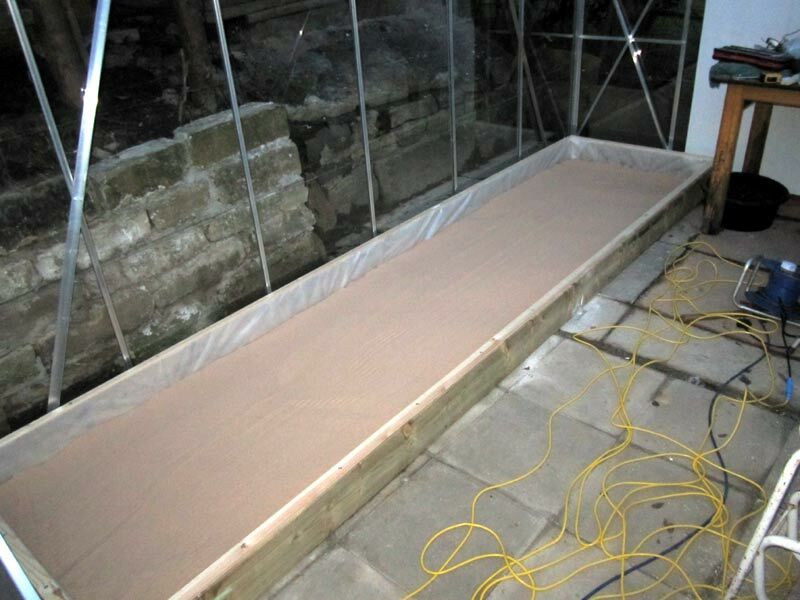 I have made slits in the liner because I do not want the bed to flood, this happened with my first bed a few years back. I think Tony meant a 150 watt light bulb. If not, I'd hate for Caroline to see the bill! Mine is on a thermostat which has a long probe into the sand. It works very well and keep the temperature nice and even. Kev Bailey wrote: I think Tony meant a 150 watt light bulb. If not, I'd hate for Caroline to see the bill!. Yes that sounds right. 150,000 watts would cook the trees. How hot does the sand get? With my experience with liquids and heaters, the heat shouldn't reach the bottom through the sand. This seems like it would make a nice setup for my tropicals in the basement during the winter. I have a 2 ft x 8 foot table in the basement. I would also expect, that you could increase the amount of cable in a specific area to raise the temperature, compared to zones that don't need as much heat. With a thermostat, you can set it at whatever temperature you desire. Mine stays at 65F 18C though I push it up to 70F 21C for germinating some seeds and rooting some cuttings. I'd love to add a mist propagator for hard to root things. Mebbe when my lottery ticket comes up! Nice work, Tony. I particularly like the 'action shot' of you watering in the sand! Spielberg, my arse! 1. Is there a specific temperature which is optimum for newly collected trees? 2. 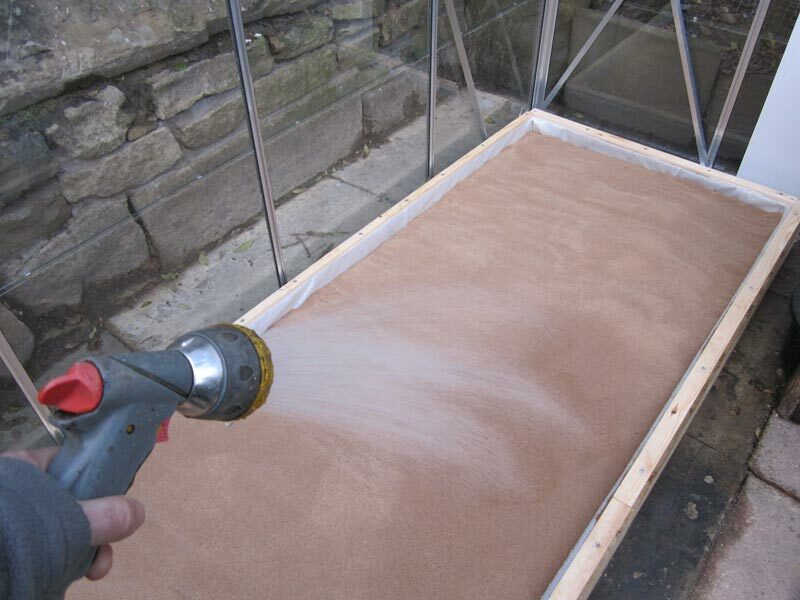 Also given that the plants substrate is warmer it will dry quicker. I guess i'am asking here how often do you water at a specific temperature and know when to water? 3. Can the bed be used to keep a trees rootball from freezing in minus temps without sending the tree into an early Spring? My thinking is that material could be collected all winter without the fear of the rootball freezing? I'm sure Ive other questions rattling about in here somewhere but thats all I can think of for know? This is a really good solution. 3. Can the bed be used to keep a trees rootball from freezing in minus temps without sending the tree into an early Spring? My thinking is that material could be collected all winter without the fear of the rootball freezing? this what I use the bed for, however I collect mostly march till may. Great stuff Tony, thats much appreciated, thankyou! I would assume that you need a higher temperature for the fine roots to grow on yamadori, around 18 degrees C.
For such a big bed, bagged sand would be extremely expensive. Can the builders sand that can be bought buy the truck load be used? Hello Tomy. Has this system greatly improved your survival rate? Stavros... this is England the land of Wet and Cold, Cyprus = Dry and warm, your trees are different. 7c is enough to get the roots moving, plus I do not want to force or stress the tree once collected, its a fine balance between life and death. bucknbonsai wrote: For such a big bed, bagged sand would be extremely expensive. Can the builders sand that can be bought buy the truck load be used? tony wrote: Stavros... this is England the land of Wet and Cold, Cyprus = Dry and warm, your trees are different. 7c is enough to get the roots moving, plus I do not want to force or stress the tree once collected, its a fine balance between life and death.